a sheet or band of fibrous tissue such as lies deep to the skin or invests muscles and various body organs. adj., adj fas´cial. Organization and connective tissue components of skeletal muscle. From Applegate, 2000.
aponeurotic fascia a dense, firm, fibrous membrane investing the trunk and limbs and giving off sheaths to the various muscles. fascia cribro´sa the superficial fascia of the thigh covering the saphenous opening (fossa ovalis femoris). crural fascia the investing fascia of the lower limb. endothoracic fascia that beneath the serous lining of the thoracic cavity. fascia la´ta the external investing fascia of the thigh. Scarpa's fascia the deep, membranous layer of the subcutaneous abdominal fascia. 1. a fascial sheet lying directly beneath the skin. thyrolaryngeal fascia the fascia covering the thyroid gland and attached to the cricoid cartilage. transverse fascia that between the transversalis muscle and the peritoneum. the extrapleural fascia that lines the wall of the thorax; it extends over the cupula of the pleura as the suprapleural membrane and also forms a thin layer between the diaphragm and pleura (phrenicopleura f.) This loose areolar layer provides an extrapleural surgical plane. a sheet of connective tissue within the thorax; the outer boundary of the thoracic cavity. It separates the parietal pleura from the chest wall and the diaphragm. A thickened portion also attaches to the medial border of the first rib. The extrapleural fascia that lines the wall of the thorax; it extends over the cupula of the pleura as the suprapleural membrane and also forms a thin layer between the diaphragm and pleura (phrenicopleural fascia). pl. 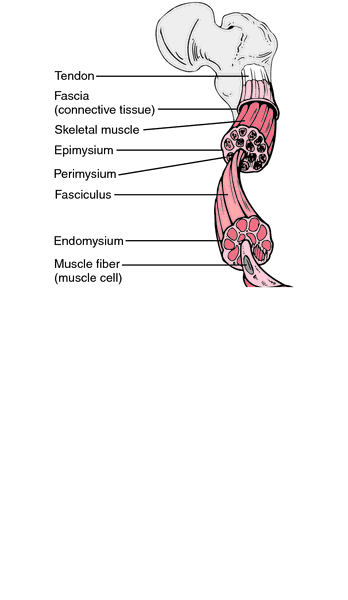 fasciae [L.] a sheet or band of fibrous tissue such as lies deep to the skin or invests muscles and various body organs. one of the methods of attachment of actin filaments to the sarcolemma in cardiac muscle; a continuous zone of attachment. a dense, firm, fibrous membrane investing the trunk and limbs and giving off sheaths to the various muscles. Called also deep fascia. the superficial fascia of the thigh covering the saphenous opening. extensive sheets between muscle masses giving appearance of distinct molding of muscles, especially when horses in hard training; gives extensive attachments to muscle fascicles and serves as an energy store. the investing fascia of the leg. that beneath the serous lining of the thoracic cavity. a prolongation of the endothoracic fascia sometimes found at the root of the neck, important as possibly modifying the auscultatory sounds at the apex of the lung. covers the iliopsoas muscle below the wing of the ilium. the external investing fascia of the thigh. An implant of this fascia is used in operation to correct penile deviation in the bull and for reconstruction of a ruptured anterior (cranial) cruciate ligament in dogs. a colloquial, non-anatomic term for the extensive fascia, especially in horses, which converts the upper limb into a series of osteofascial compartments. Consists of a superficial layer continuous with the thigh fascia, a middle layer formed by extensive aponeuroses, e.g. tensor facia lata, biceps, semitendinosus, gracilis, sartorius muscles, and a deep layer between muscles and attaching them to the tibia. three layers connecting muscles to bone, the eyeball and eyelids. dense fascia surrounding the spermatic cord and testes; internal to the tunica dartos; in layers corresponding to the layers of abdominal muscle; an internal layer adherent to the tunica vaginalis and an external layer adherent to the skin. the fascia covering the thyroid gland and attached to the cricoid cartilage. that between the transversalis muscle and the peritoneum.